Pirate Galaxy is a browser based sci-fi adventure that will have you zipping across the galaxy to explore star systems, fight over planets, complete mercenary missions and more. Despite being a browser game there is plenty of variety in the game content which is supported further with some impressive graphics. 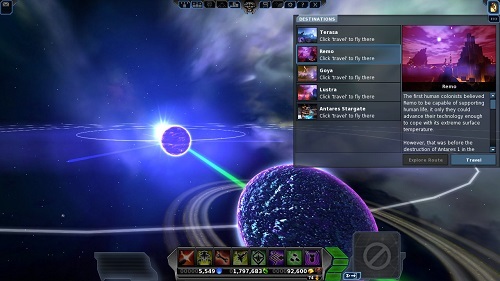 Pirate Galaxy is very much a story driven adventure as players jump into the cockpit of their personalised spaceship, complete quests, battle droids and upgrade their ship. If you’re also a fan of PvP gameplay then you’ll find plenty of that (especially in the end-game clan wars). The role that you want to take in this universe is up to you with a range of ships for players to customise during their Pirate Galaxy adventure. 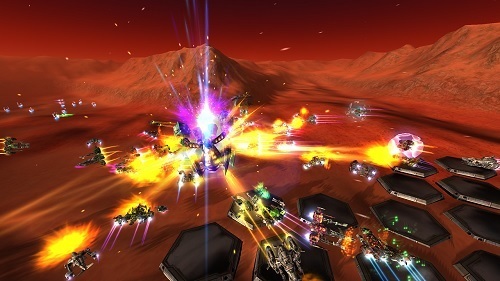 Players can choose between damage dealing ships, tanking ships, speed ships, engineer ships and general ships that have multiple purposes. With very few limits to players switching between ships based on their needs there is plenty of freedom for players to enjoy. In terms of story and setting the game portrays a human race that has been devastated by a long war with the insect-like Mantis race that rely heavily on drones for their dirty work. At the centre of this never ending conflict is the supply of the rare cryonite mineral that is a core ingredient in space travel technology. While the early story missions won’t put up much of a fight the game quickly ramps up the missions while constantly throwing new environments, enemies and upgrades your way. Just as the PvE gameplay starts to run dry the PvP side of Pirate Galaxy kicks into overdrive with open PvP for players that elect to enter pirate mode (which increases rewards but allows other players in pirate mode to attack you openly) and massive clan wars as clans fight for control over individual planets. Pirate Galaxy offers so much for a game that you can play in your browser (client download also available). If you want a space adventure packed with content but also easy to get into, Pirate Galaxy is sure to satisfy and exceed your expectations. Play in your browser or download the game client. Battle against the Mantis race and reclaim the galaxy for the human race. Upgrade and customise your own space ship. Open world PvP and massive clan wars. Great variety in environments and missions.